Too many builders offer a stripped down version of a house, and then you have to go to the design center and add $10K to make it look nice. With NewLeaf Homes you don’t have to add one penny over the base price to get a beautifully finished out home. NewLeaf Homes are generally three or four full sides brick. This is very unusual in this price point. In fact, we use twice as much brick on our homes than the average builder in our price point. And it’s not just that we use more brick, it’s also that we use the brick artistically in accent treatments and around windows to create greater curb appeal. Our standard features include large amounts of tile throughout the home including in the kitchen, bathrooms, utility room, and entry/foyers in most homes. 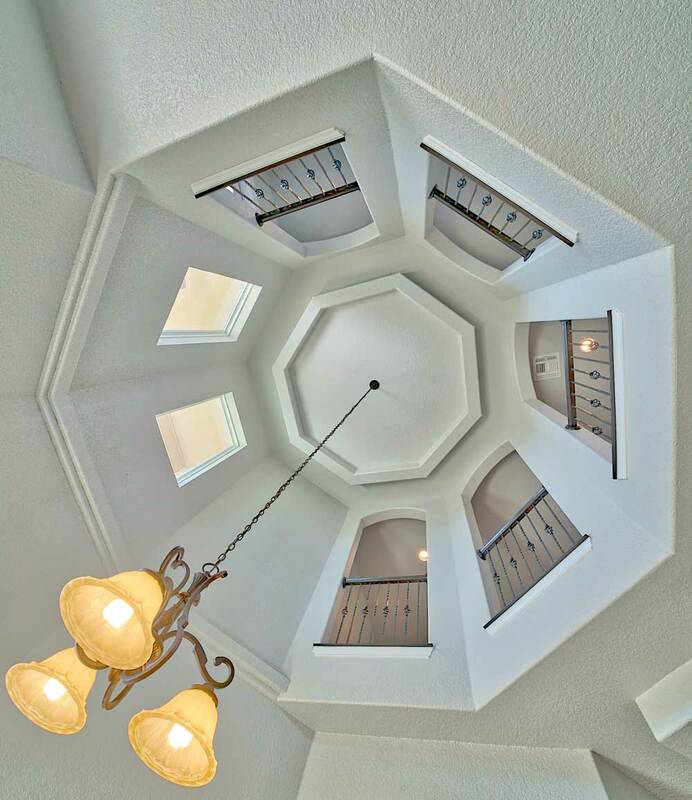 We incorporate architectural ceiling treatments into every home we build. From the most affordable to the most expensive, each home contains this kind of detail. One of the great benefits of living in Texas is the opportunity to enjoy outdoor living almost year round. Each NewLeaf home include a covered patio so that every homeowner can enjoy! …window sills, tile backsplashes and showers, beautiful plumbing and lighting fixtures, rich architectural features throughout. Of course we offer plenty of other options for you to upgrade your home, but our basic home looks great! We encourage you to review the standard features of a NewLeaf home, or better yet, come visit one of our model homes to get a better sense of the many details that make a NewLeaf home unique.